Home-based businesses have grown in popularity due largely to high unemployment. Also, more companies are considering contract workers, or allowing workers to stay at home — and off the roads — at least part of the time. Bottom line: landlords may be faced with tenants who want to work from home. While many home-based businesses won’t impact the rental property, others may increase utility costs, or generate complaints over increased noise, traffic, parking or security issues. Insurance costs may increase, and in the rare case where the business is not licensed, violates zoning laws or is otherwise illegal, landlords stand to lose even more. A provision that bans home-based businesses can avoid these contingencies, and works as a good baseline to start negotiations with a tenant who wants to work from the rental. 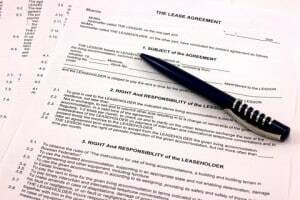 This also eliminates problems should a tenant decide to work at home or start a different business after the lease is signed. If you decide to allow a home-based business, be sure to include limits in the lease to prevent these problems. While you may consider requests on a case-by-case basis, make sure you have a standard policy in place so all tenants are treated the same. If you’ve amended your lease in one case, you may have to do the same the next time a tenant makes a similar request.